Fall is the perfect time to get your employees highly motivated and back into full-swing work mode. How to boost morale in order to make this happen effectively? 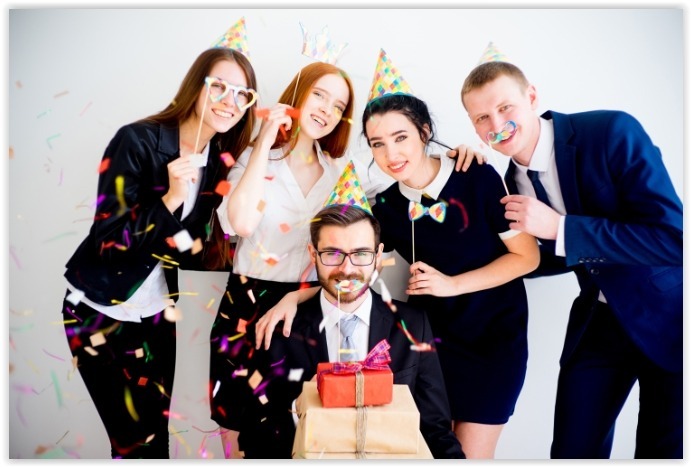 Treat your employees to a corporate event! Whether it’s a Halloween party, an annual holiday party, or some other sort of get together, a corporate event is the perfect way to get your workers motivated for the remainder of 2018. The Rent Letters team put together a list of creative events you can put together for the ultimate motivational fall party. This can be a Halloween event and a fun outing all in one! Bowling is simple enough for everyone to participate in, and you can put a unique twist on it by inviting everyone to wear a certain theme or costume. Hire a motivational comedic speaker to boost morale and lighten the mood of your office. More often than not, work can get stressful and take a toll on your mental health. To keep your employees in bright spirits, we highly recommend this as a company outing! Even though this is a common in-office corporate event, Office Olympics has become a fan favorite among companies looking to increase motivation levels in their workers. You can include things like snack-themed skit competitions, races in a nearby venue, and other team-building events. An “Around-The-World” potluck is the greatest way to be inclusive while having a great time in your work environment. This event can be especially fun for any company that has multiple departments so you can really go all out with decorations and theme your branch of offices. This is an excellent way to celebrate your team’s diversity and learn more about people you work with everyday. For those of you looking to escape the office (pun definitely intended), check out a nearby escape room! This is a unique and intense team building activity that really gets your employees out of their comfort zones. The concept of escape rooms is fairly self explanatory: you and your team are given an hour to exit the room, and the only way out is by solving a variety of cryptic puzzles and clues. Not only are they a lot of fun, they are great giving your employees a fresh environment to brainstorm and problem solve.